We have a range of digital print packages to choose from. 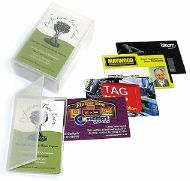 Full colour digitally printed business cards printed using the finest quality 300gsm card. Letterheads and Compliment slips are printed on 100gsm paper. Packages are available on white or cream paper. This process if suitable for ink-jet overprinting of your data. How do I pay for a digital stationery start up package? Do I need artwork for a digital stationery start up package? You can look at Print Packages to compare prices.